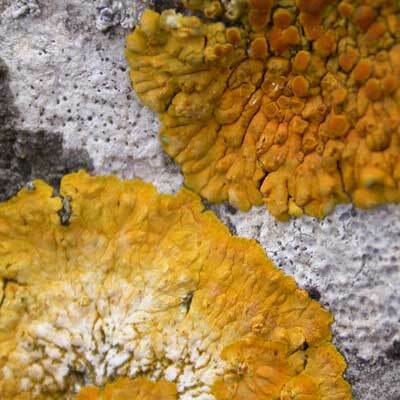 A distinctive crustose lichen, with radiating egg-yellow lobes that are flattened at their tips. 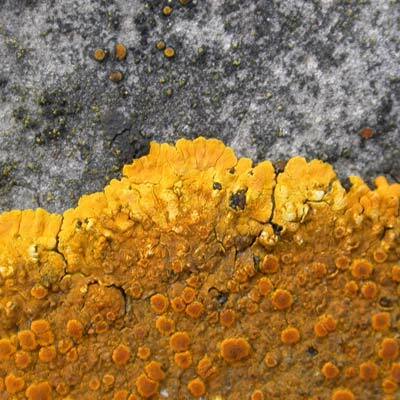 Apothecia may be present towards centre of the thallus. Only found on limestone in sunny and relatively dry habitats. In Ireland largely confined to low rainfall regions in the east. Radiating lobes flattened at their tips. Simms, M. J., (2016). 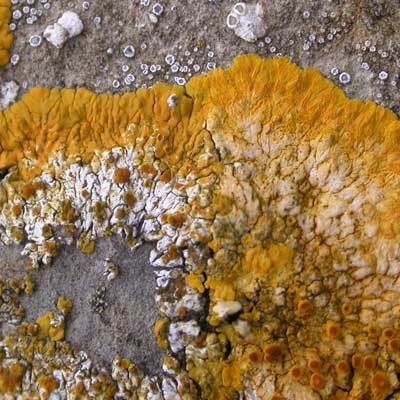 Caloplaca aurantia (Pers.) 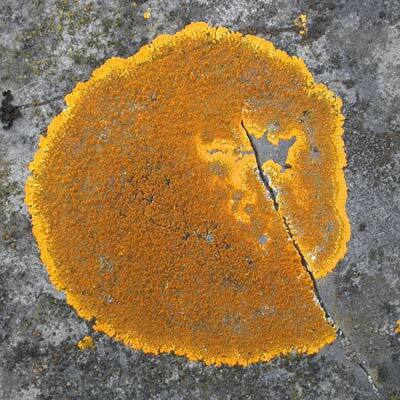 Hellb.. [In] LichenIreland.